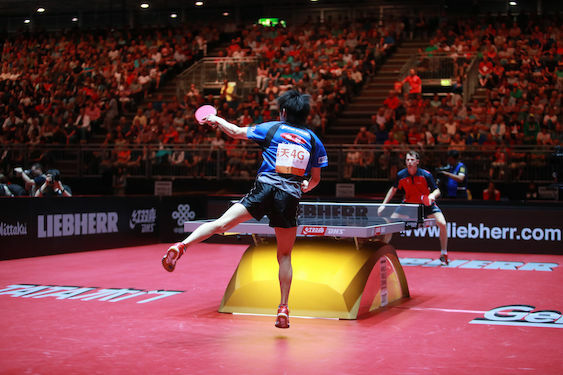 This year's World Table Tennis Championships in Budapest, Hungary, may only be little over one month away, but anticipation is already rising fast for the 2021 and 2022 editions, thanks to five countries providing the strongest ever competition to host table tennis' greatest annual event. Morocco (Agadir) and United States (Houston) have been shortlisted for the 2021 ITTF World Table Tennis Championships Finals, in which the greatest players on the planet will compete for the sport's major individual prizes on unchartered territory. The only previous occasion that neither Asia nor Europe staged the World Championships was back in 1939 when Cairo, Egypt, was the host city. Now is a crucial time in the final evaluation process, as the ITTF has concluded site inspections in all five countries remaining in the hunt to host the final stage of the sport's biggest event of the respective calendar years. "The quality of the final bids for 2021 and 2022 are extremely exciting and it's with great pride that in 2021 the World Championships Finals will be taking in a brand new market for the ITTF." "This can only be fantastic news for table tennis globally. Last week, I was in Houston, which is an amazing sports city, and I have reports from colleagues that Morocco is also very excited to have the chance to host our biggest event, so what an intriguing race this will be for staging the 2021 World Championships Finals! The ITTF should and must be proud that it took some brave decisions last year in Halmstad which has therefore allowed us to have these bids." "Then for 2022, we have Japan and China, two Asian power houses, bidding alongside an emerging European table tennis nation in Portugal. In my time at the ITTF I have never remembered 3 bids for the WTTC and again it proves our changes are bearing fruit." "The site inspections in Kitakyushu, Chengdu and Lisbon were very positive and it will be interesting to see which of the three candidates will win the vote of trust at the AGM taking place this April in Budapest."